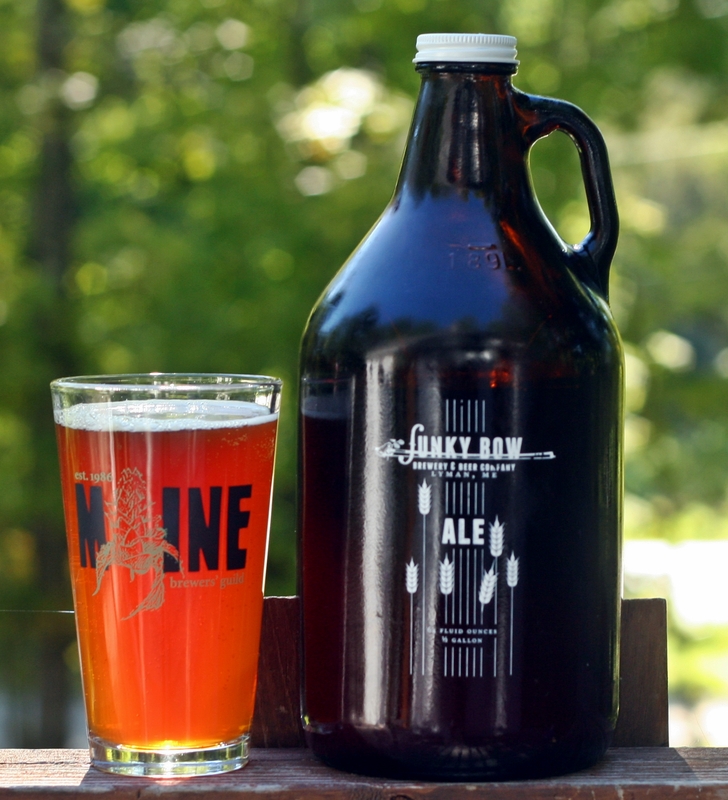 I like the guys at Funky Bow; Paul and Abraham are great guys that really enjoy what they do and a recently I went to the brewery on a Friday evening to grab a couple of growlers. They had the pale ale and the IPA on at that point and I opted for the IPA since I had already reviewed the pale ale. I was happy to get one of their new growlers instead of the amber growler with a paper label stuck on it. The beer from Funky Bow is a bit of a mixed bag. That Friday I tried the pale ale and the IPA back to back and thought the pale tasted more like an IPA than the IPA did. This beer was much cleaner than the pale ale I had a couple months ago. I think Abraham has learned a lot over the past few months and is making better beer. The color is very nice but there was almost no head even though I opened it the same night I bought the growler. Not sure if it was prefilled and sold out of the cooler or not. Aroma has more malt than hops which is where the confusion starts. Taste continues the confusion with plenty of malt character and some bitterness but that is really the only thing that could make this an IPA. Overall this is not a bad beer and it has been well received at local restaurants and bars but if you are a craft beer drinker and have an expectation of what an IPA should be this one will leave you wanting more. Brewers Description: At Funky Bow Brewing Company we love to hear the vibrations of excellent music coming from all corners of the brewery. We also love standing in the middle of a seamlessly never ending hop fields, taking in the sites and aromas of one of nature’s great wonders, Humulus lupulus. So after hours and hours of easy listening and days and days of hop field nostalgia, we headed back to the brewing table to create a beer that could precisely sum up all of these experiences. We called this beer, So Folkin’ Hoppy. A delicious caramel malt backbone to balance the generous addition of hops, all the while fermenting with a clean tasting yeast to allow the true flavors, aromas and sounds to bust through. In the end this beer was brewed for the music and hop lovers in all of us.